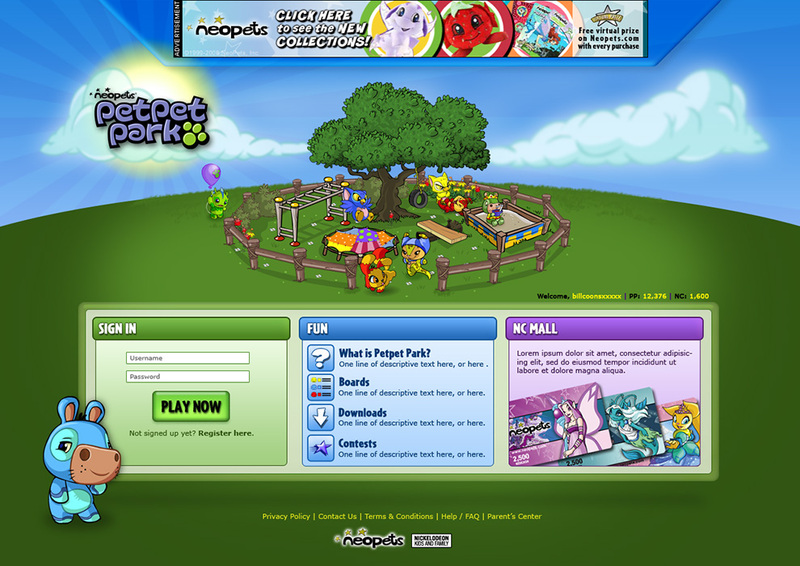 When I initially started working for Nickelodeon Virtual Worlds, our name was Neopets, Inc., and I was hired to work on Flash game menus. After about a year, I began working on a bit of everything, but sticking mainly to Flash work. 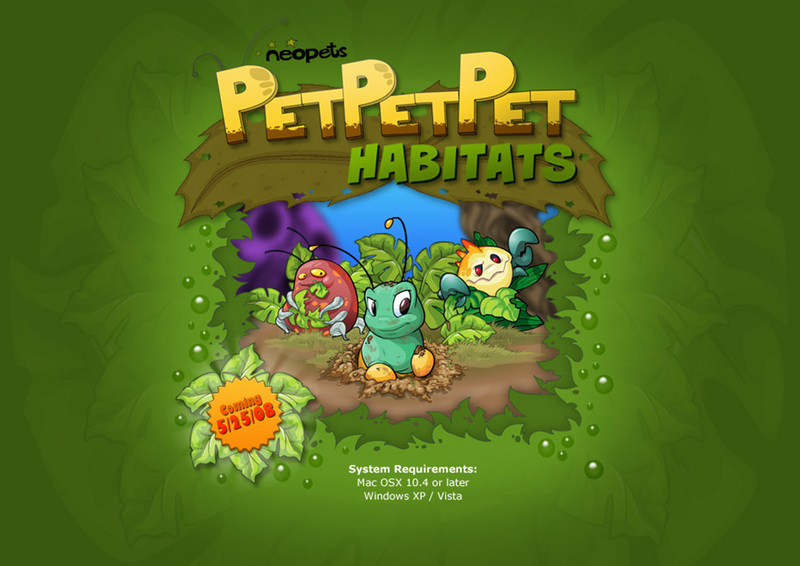 My projects ranged from Integrated Marketing to site and game design, including ActionScript and Flash. 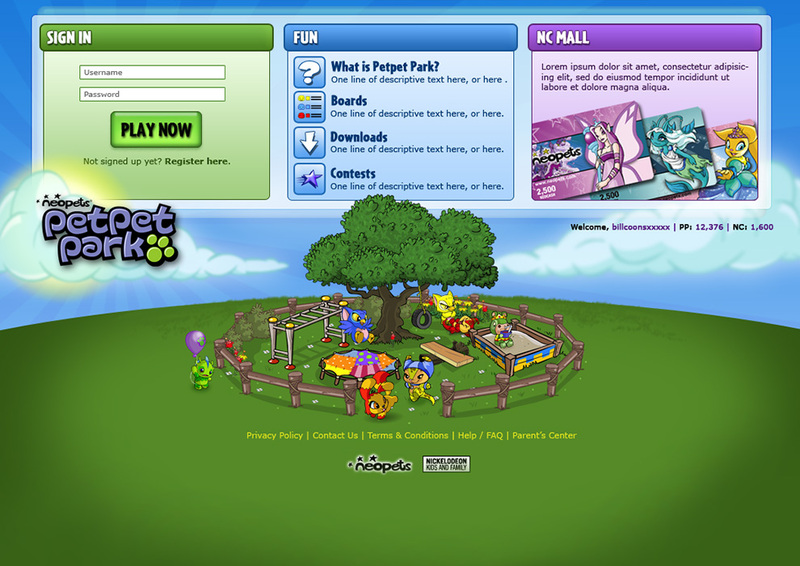 I also worked on a lot of prototyping for the purposes of User Experience testing. 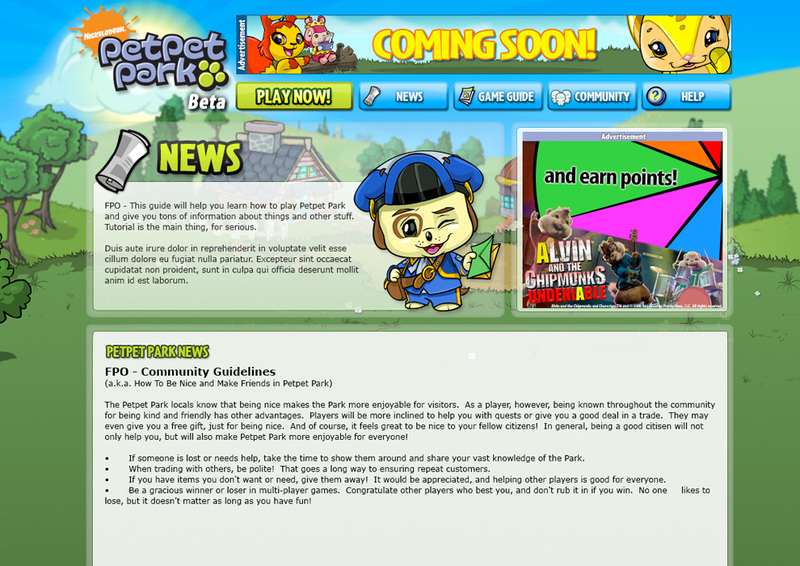 These landing pages for Petpet Park gave me the opportunity to work on good old HTML again, and some UI work on the HUD of the actual game.